Alison was born in Cardiff and studied piano at the Royal Welsh College of Music and Drama. She also graduated with Honours in Modern Languages and and a PGCE. Later, she took up singing and studies with renowned mezzo, Ameral Gunson and with repetiteurs, Paul Hamburger, James Lockart and Victor Morris. Alison has been performing with Welsh National Opera. Productions include Madam Butterfly, Wagner’s Lohengrin. Previous work for Welsh National Opera includes Wagner's Die Meistersinger von Nurnberg with Bryn Terfel and a performance at the Royal Albert Hall for the BBC Proms. Alison also sang at the Royal Festival Hall in the Brynfest with Bryn Terfel and Welsh National Opera. She recently performed with chorus members of WNO in a concert in Cardiff at the RWCMD with Kate Woolveridge (Woman of the Year) and her Forgetmenot Chorus, conducted by Carlo Rizzi. She performed in the critically acclaimed Schoenberg's Moses und Aron with Welsh National Opera. There were performances at the Royal Opera House, the Birmingham Hippodrome and the Wales Millenium Centre. Alison’s critically acclaimed operatic debut was at Aldeburgh as Orfeo in Gluck's Orfeo ed Euridice, afer having been selected from a masterclass by renowned soprano, Rae Woodland. 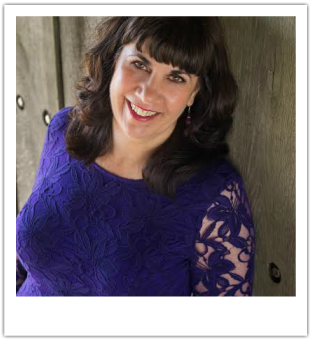 Alison has worked with a number of UK opera companies that include Surrey Opera, Opera Omnibus and Regency Opera. Roles include Carmen In Bizet's opera, Prince Orlovsky in Strauss's Die Fledermaus, Flora In Verdi's La Traviata and Kate Pinkerton in Puccini's Madama Butterfly. She has given recitals in the Brighton Festival with accompanist, Lesley-Anne Sammons and in Sussex and Wales with Oliver Gooch (ROH and Glyndebourne) and Bryan Davies. Alison has worked extensively in Oratorio. Recent performances include Mendelssohn's Elijah at Arundel Cathedral with the Arun Chorus, Marienfeld Chorus and Sussex Sinfonia, Bach's Ascension Oratorio at Lancing College with Neil Jenkins and the Sussex Chorus and Orchestra and Elgar's Dream of Gerontius with City Chamber Choir. She has participated in masterclasses with Sir Thomas Allen, Malcolm Martineau, Rae Woodland, Janice Chapman, Victor Morris, James Lockart and Jonathan Hinden.